3M™ is among the most innovative companies in America. For over fifty years 3M™ technology has developed into household products that have made everyday life easier and more fulfilling if not safer and more productive. From desk products to hand hygiene, 3M™ technology is the basis for over 100,000 patents. One of them is Window Film, a culmination of technologies that has emerged from many of those protective and adhesive patents 3M™ has been awarded. In 1966, 3M™ invented window film after receiving the very first window film patent. Since then, many film technologies have been patented by 3M™. Innovations including films with insulation properties, and films for plastic glazing, have made 3M™ the technology leader in the commercial, government, residential, and automotive markets. While this past R&D work has fueled its position for today’s market, 3M™ is busy engineering the films of tomorrow, while Columbia Filters continues to win awards for their installation excellence today. 3M™ Window Film Technology Explained! 3M™ Window Films are powerful and incredibly effective product compilations of innovative 3M™ technology through the years. Each 3M™ Window Film product is based on five core household technologies that have been the cornerstones of 3M’s successes. These five technologies lie at the heart of all 3M™ products, but many are the magic in common, if not households through out the world. Scotchpak™ and Polyester Film Technology. 3M™ is the only window film manufacturer to manufacture its own polyesters. This intelligence provides us better film technology know-how and greater window film productivity. Metallization and selective wavelength technology. 3M™ has constructed films that manage the solar spectrum selectively. What this means is that selective window films block more of the near infrared or heat portion of the spectrum and less of the visible light. The unique engineering, construction, and use of materials allow these special films to let the natural visible light shine without a compromise in performance. Adhesion Technology as that in Scotch™ brand magic tapes. 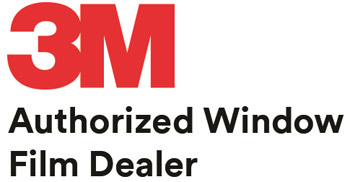 3M™ is the only window film manufacturer to manufacture its own adhesives specifically designed for window film. The truth is that window film is only as good as the adhesive behind it. The long-term clarity of window film rests primarily in the adhesive. This is just one of our many competitive advantages. Abrasion Resistance technology has been gleaned from sandpaper and scouring pads! This understanding of how materials can be abraded has moved 3M™ into a global position of leadership in protecting surfaces from abrasion. Thin Coating Technology. 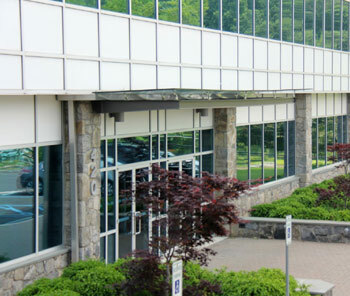 Combining all of the above components into one window film requires the ability to apply very thin optically-clear coatings made of a variety of chemicals. Examples of 3M’s ability to coat very thin solutions are 3M™ photographic and x-ray films. 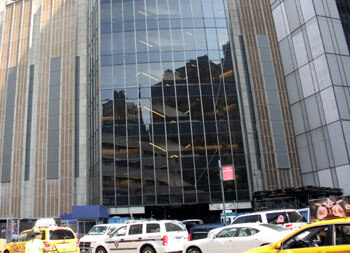 This 3M™ expertise has given 3M™ Window Films superior industry performance. 3M™ warrants that its Ultra Safety & Security films will maintain their strength, tear, and penetration-resistant properties — essential characteristics when glass retention is the primary objective. If you have any questions contact Columbia Filters today at 201.438.3883. Any and all defects are warranted by the 3M™ Company. Not only does 3M™ stand behind its products, it stands on top of them.